Beyond the academic support, our Centre becomes a home away from home for students. 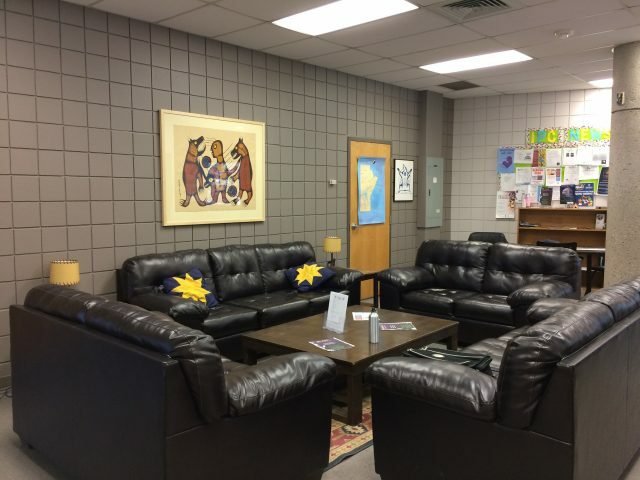 Here you will find a lounging area of couches to relax on between classes and to engage in supportive conversation with fellow students. We offer free soup for everyone to meet and have a meal together. Most importantly, we offer you a family and friendships that will last you a lifetime. We learn through gathering that even though we may lead different lives, we are the same. Assistance locating housing, schools, daycare, doctors, dentists, etc. Cultural events including the annual “All Nations Graduation Pow Wow”, sweat lodges with Brandon Friendship Centre, Round Dance, Elder Visits, Storytelling, Pipe Ceremonies, medicine picking, tea and storytelling, skirt making and much much more. Are you a Band Sponsored Student?